The 25th ASET Annual Conference was held at the University of Nottingham, Jubilee Campus. 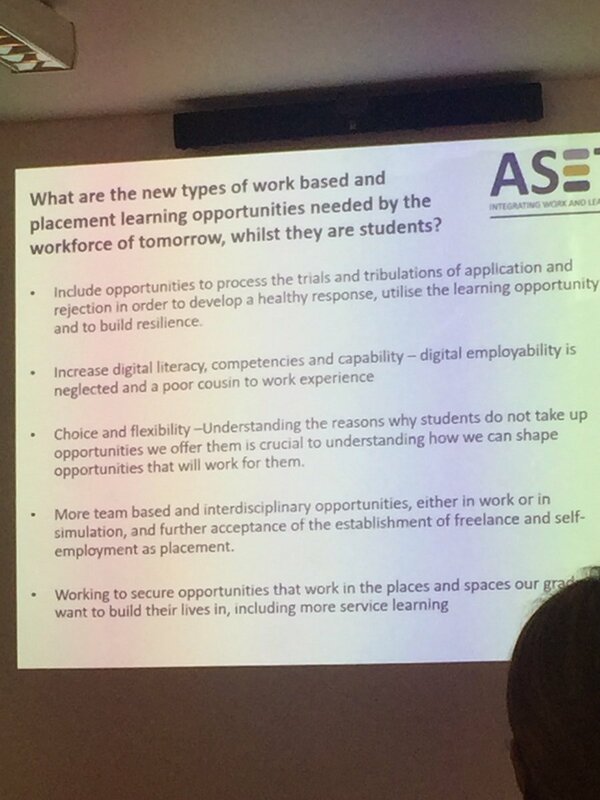 Delegates from 65 member organisations came together to consider ‘Future -proofing placements : celebrating success and inspiring innovation’ – a fitting theme for ASET’s anniversary event. 2018 Proceedings are now available for download. Reference copies of all our publications can be found in the British Library and the 5 other Legal Deposit Libraries – Bodleian Library (Oxford), Cambridge University Library, National Library of Scotland (Edinburgh), Library of Trinity College Dublin and National Library of Wales (Aberystwyth).